Samsung sells 30 million Galaxy S III's | Android Blast! Samsung has confirmed that the company has sold 30 million Galaxy S III smartphones in 5 months. They company had expected to sell as many by year's end, but they reached the milestone early. The company says the Galaxy S3 is selling at a faster pace than its predecessor which was the fastest selling smartphone at the time it was released. 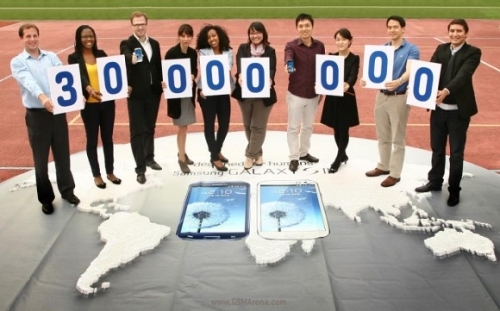 Samsung also sold 3 million Galaxy Note 2's since its release. Samsung is the new king of the smartphone market.